Meredith points out that this is more North than South–more Normandy than Mediterranean and she’s right. It’s tasty though and it is a one pot dish to go with some brown basmati rice or quinoa. Adapted from Jenny Baker’s handy Kitchen Suppers, this is a flavoursome way to cook an alternative to chicken. and set aside in a bowl. 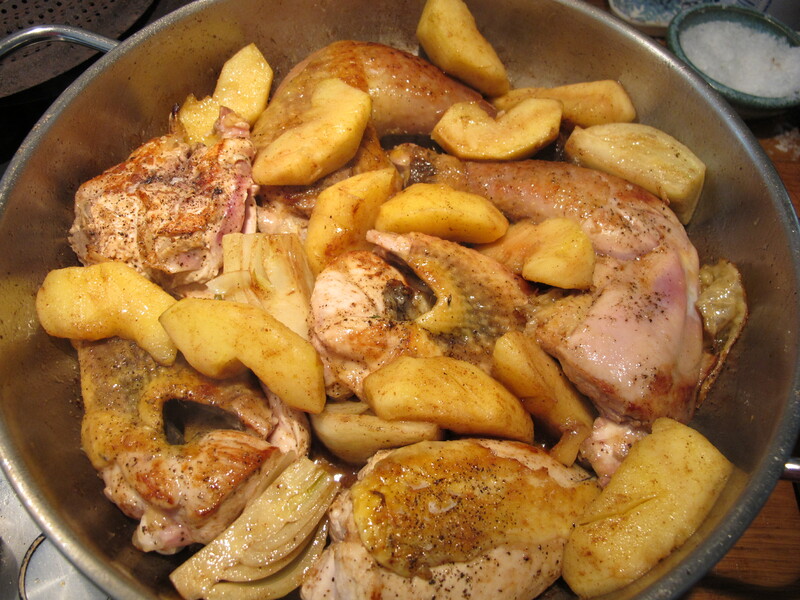 Boil the cider in the pan to reduce it to roughly 3 tablespoons and pour it over the apples. 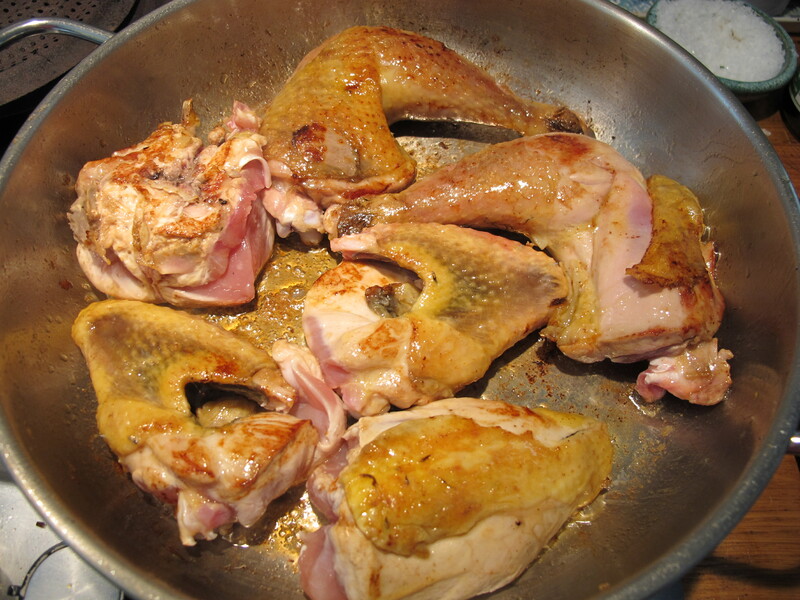 Brown the guinea fowl pieces on a medium heat in the remaining butter and oil, seasoning them as you turn them over. 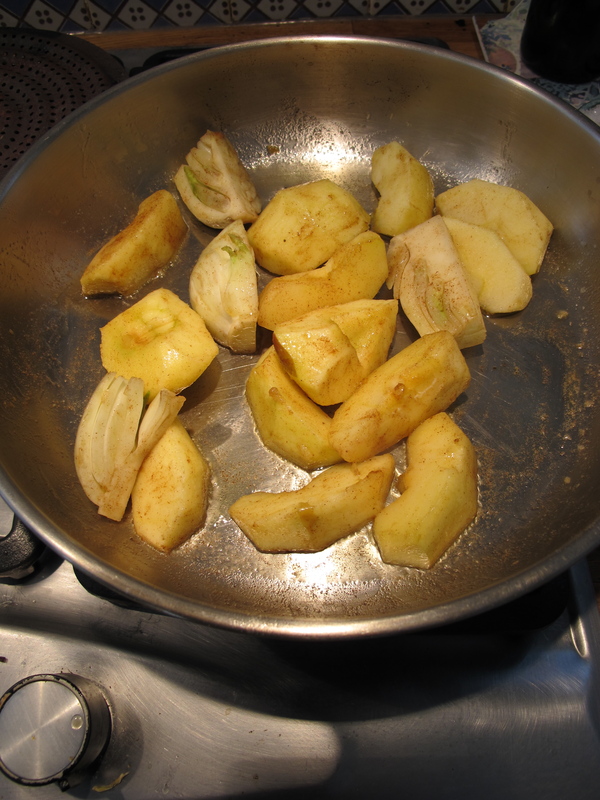 Return apples, fennel and sauce to the pan. Cover the casserole and cook on a low heat for half an hour. 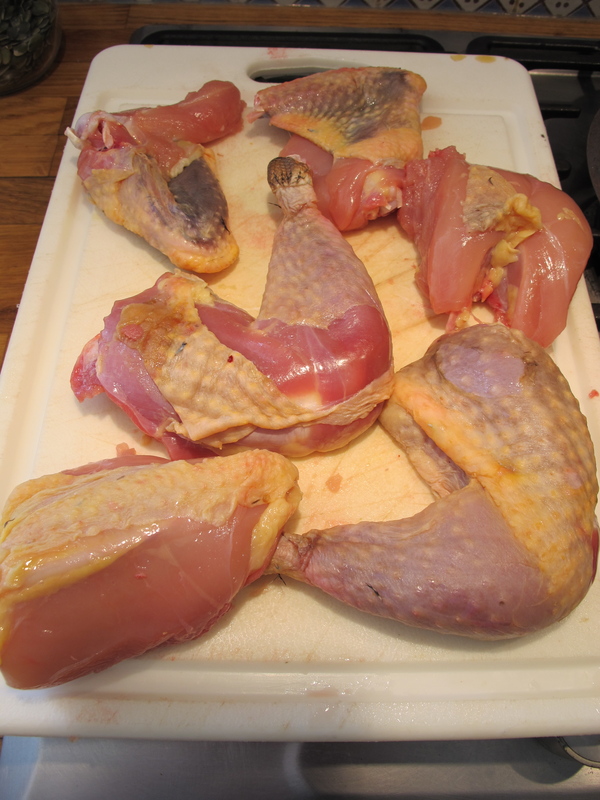 The juices of the guinea fowl should run clear when the thigh is pierced; if they are still pinkish, cook a little longer. Whisk the yogurt into the sauce. Carefully pour the sauce into a heated jug. Serve with brown basmati rice or quinoa and the apple and fennel pieces. I missed your sardine salard yesterday, but I am rather fond of sardines and this sounds a little differnet to the way I would usually do them,so I am going to give them a go. 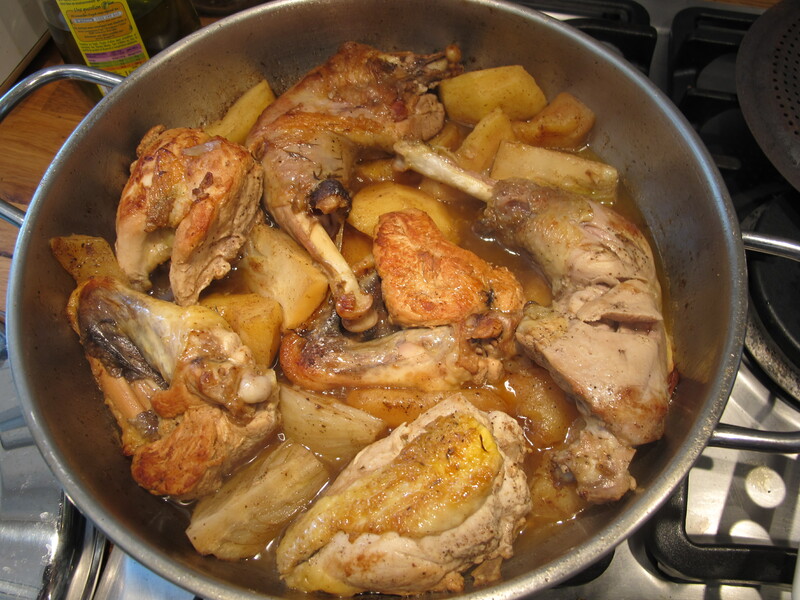 So does your Pot roast guinea fowl,though I confess that I have never notice guinea fowl in the shops in my neck of the woods,though I will ask my butcher who is very good. a lovely puss – I will be thinking of you all. Thanks, Elaine–she’ll hear what you’re saying! Robin sorry for my bad spelling I spelt salad wrong fingers not behaving today. on May 30, 2011 at 8:42 am | Reply Melanie O. All the best – I will be sure to return for more. Thanks Melanie—it’s good to hear you are enjoying the blog. Something new for me and I’m enjoying doing it.